’Tis the season! No, not that season—although you may already be seeing holiday decorations being displayed. I’m talking about open enrollment season, the time of year to review the benefit package that you receive through your employer. Open enrollment has become an annual tradition. The HR department sends you an email with the details on how the benefit packages are changing. Most people only scan the email, keeping their fingers crossed that the health insurance premiums didn’t go up too much. Please don’t be one of those people—this is too important. Health insurance is usually the employer benefit that gets the most attention. It’s important to make sure you and your family are protected against illness or injury. But health insurance plans can also be confusing, and they are certainly expensive. Open enrollment season is a great time to review how you use your health insurance. Did you hit your deductible last year? Does your employer offer a choice of plans? Are your doctors still part of the plan(s) being offered? Should you consider a high-deductible plan, which will mean lower premiums? More and more companies are offering health savings accounts (HSAs). If you have a high-deductible health insurance plan, make sure you enroll in the HSA. A health savings account is one of the best accounts you can have because it offers triple tax advantages. The contributions you make are made with pre-tax dollars, they grow tax-free, and if used to pay for qualified medical expenses, the distributions are tax-free. For 2019, you can contribute up to $3,500 to an HSA if you have single coverage or up to $7,000 for family coverage, which is slightly more than the 2018 limits. If you are 55 or older, you can contribute an extra $1,000. One more thing to note on your HSA: While you can make tax-free withdrawals at any time to pay health care costs, we generally recommend paying what you can out of pocket and letting your HSA grow over the years, accumulating tax-free money that you can use in retirement when you will most likely have higher health care costs. If you do not have a high-deductible health plan, you should consider a flexible spending account (FSA) if one is offered. An FSA account is like an HSA but has lower contribution limits ($2,650 per year per employee), and only $500 can be carried over from one year to the next. Both plans offer you the opportunity to use tax-favored funds to pay deductibles, copayments, and other qualified health care costs. Don’t take your group life insurance for granted. This is a great time to compare costs and review the amount of coverage you have. Most people think that because it’s group coverage, it’s the best rate available. You might be able to get an individual policy for less, and an individual policy is yours to keep if you ever leave your employer. And don’t forget to review your spousal coverage if applicable. Make sure to review your disability insurance. Buying your disability policy through a group is usually the least expensive way to get coverage. Don’t forget that there are two types of disability policies, short-term and long-term. I generally recommend having both, but if you are going to pick one, you should consider long-term. What about accidental death and dismemberment (AD&D)? I’m not a fan. This type of policy only provides benefits in the event of a very specific cause of death, like an accident that leads to death or the loss of a limb or eye. These are rare events, and that’s why the premiums are so low. You might think about beefing up your life insurance coverage with the few dollars you would save. Group life policies pay death benefits no matter the cause. 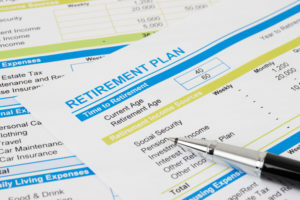 Finally, as you are reviewing your benefit package for next year, it’s a good time to review your 401(k). Can you increase your contributions? Should you consider the Roth option? Is your account invested properly? When you receive your open enrollment package from your employer, don’t just let your benefits from last year roll over into next year. While it might be tempting to do so, it may cost you. If you would like a second opinion on the benefits you are considering, don’t hesitate to reach out to our office. We would be happy to help. Older PostThe Grass Isn’t Always Greener: Is the Marijuana Industry a Good Investment?